Guns N’ Roses were joined by AC/DC guitarist Angus Young for the second night in a row as the band brought the Not In This Lifetime tour to ANZ Stadium in Sydney, Australia on February 11, and official video from the event has surfaced online. As they did on February 10, the pairing delivered a couple of AC/DC classics, with Guns N’ Roses streaming “Whole Lotta Rosie” live via Facebook before playing “Riff Raff” from 1978’s ”Powerage” late in the 27-song set. Axl Rose made headlines in 2016 when he joined AC/DC on tour after singer Brian Johnson was sidelined with hearing loss issues. 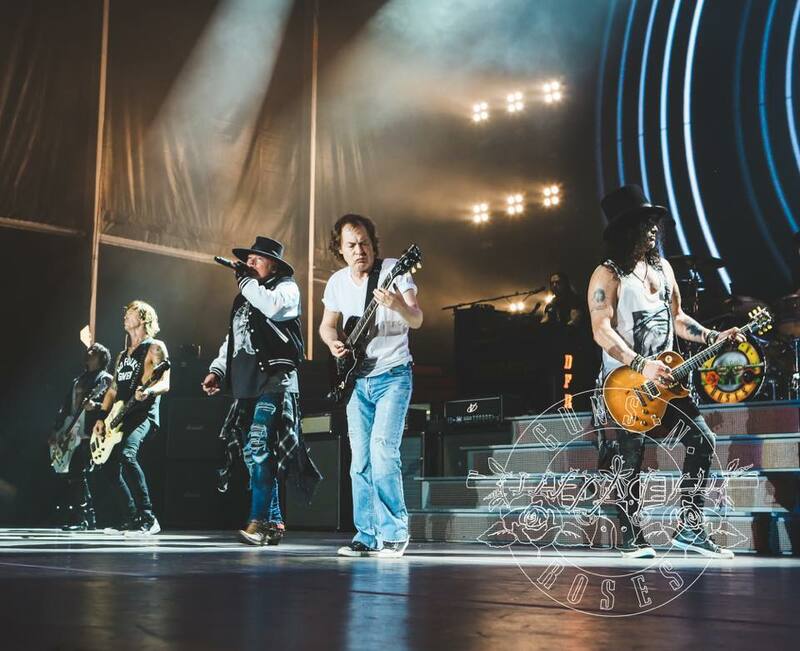 Rose spent most of 2016 on the road between the AC/DC dates and GNR’s reunion tour alongside Slash and Duff McKagan. Guns N’ Roses will wrap up the Australian leg of the run in Perth on February 21 before playing shows in Singapore, Thailand and the UAE. Following a two-month break, the band will return to live action when they begin a European tour in Dublin, Ireland on May 27.